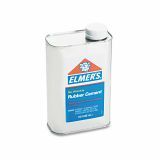 Elmer's Rubber Cement, Repositionable, 1 qt - Rubber cement offers a natural rubber formulation that spreads easily. The ability to reposition work makes it ideal for projects that require accurate placement. Excess glue rubs off cleanly, and shows no wrinkles as it dries. 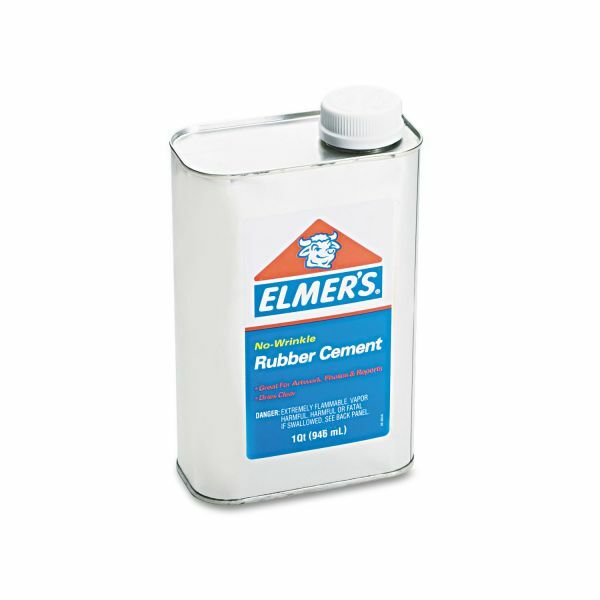 Rubber cement is acid-free and photo-safe. Metal can has a screw-on cap.